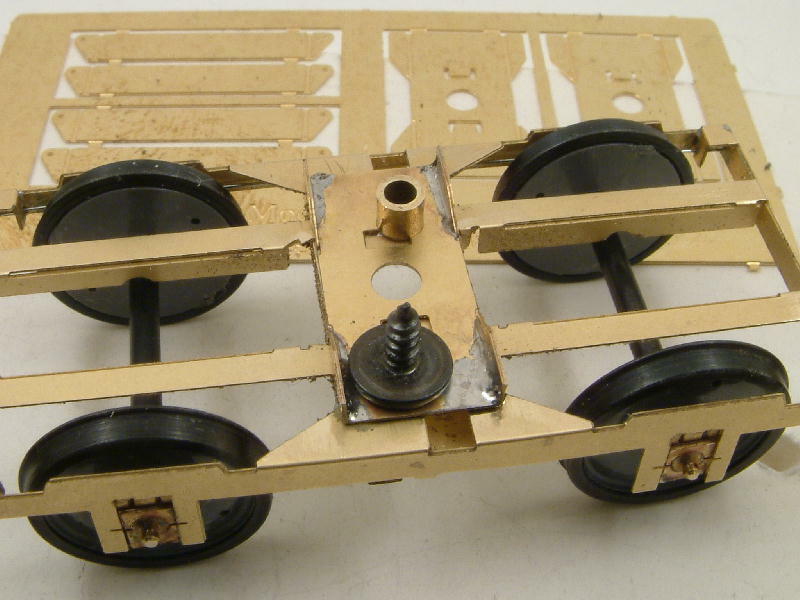 The top pictures show the new secondary units being fitted to Bill Bedford bogies; below those is a description of a custom-built plate to hold the secondary units. 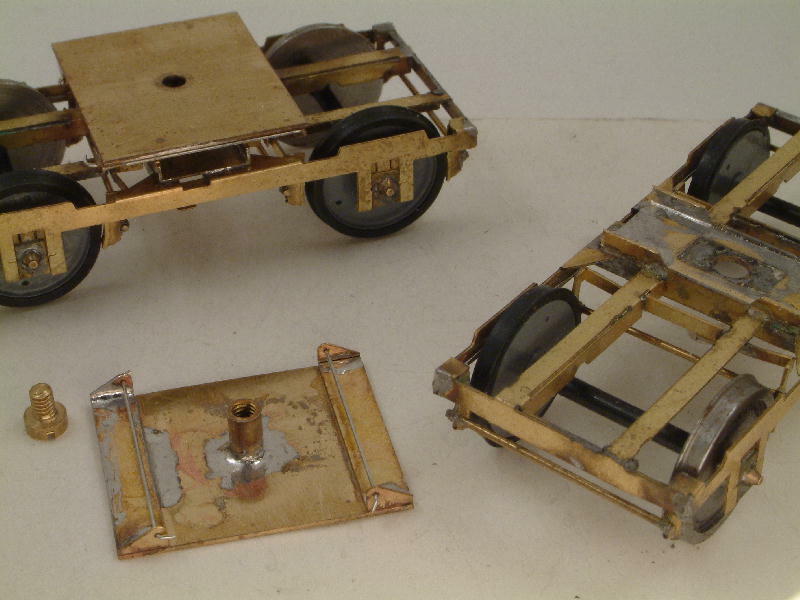 A pair of Bill's 9ft wheelbase bogies, with Bill's latest secondaries fitted, with the self-containing plate. 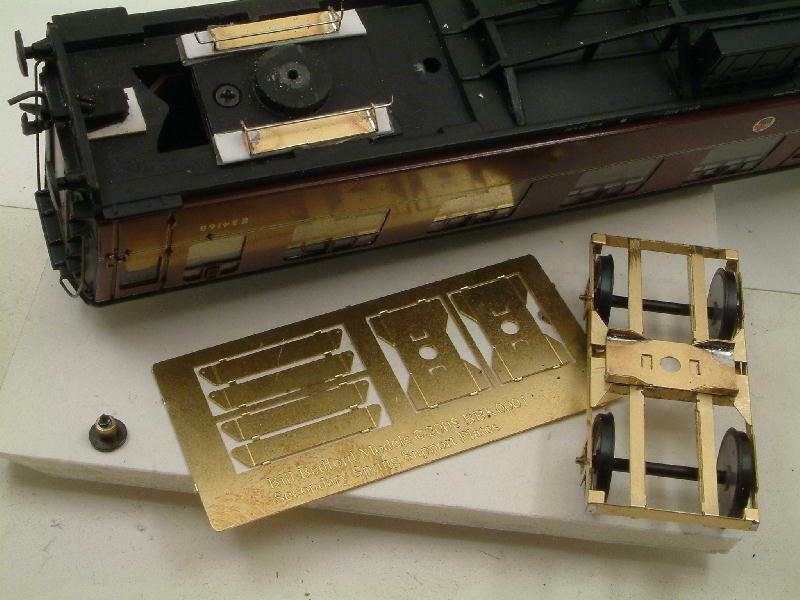 The plate is scratched from 1" wide x 0.6mm thick brass sheet, and the pivot bushes from 3mm x 2mm brass tube, both from The Engine Shed. 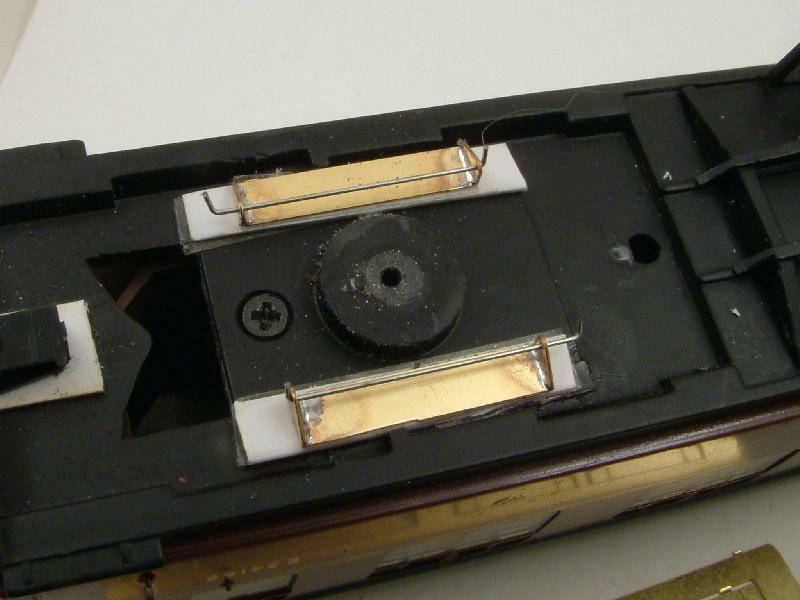 The sheet is cut to 20mm long to match the secondary carriers, which are soldered flush against the edge as shown to give a spring width across the body of 19mm. This dimension may need to be reduced for bogies of a wheelbase less than 9'0" to ensure that the wire ends clear the wheel flanges. The tube is cut to a length of 5mm, and tapped 8BA right through. One 8BA screw is blackened, so that solder will not stick to it, and this screw is fed through the 8BA clearance hole in the centre of the plate to hold the pivot bush for soldering. Once firmly soldered into place, the screw is removed leaving a flat face for fixing to the carriage floor, or to a packing piece. The secondary wire used is 15 thou guitar string.